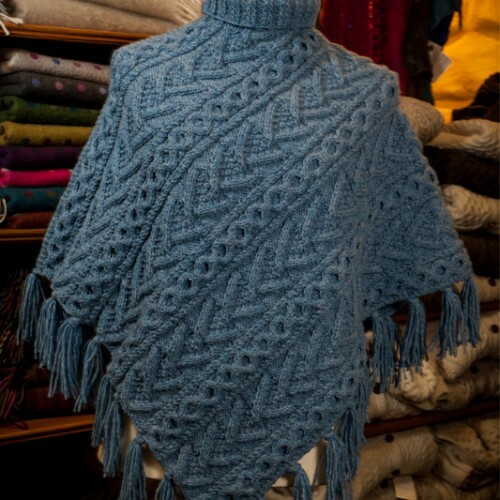 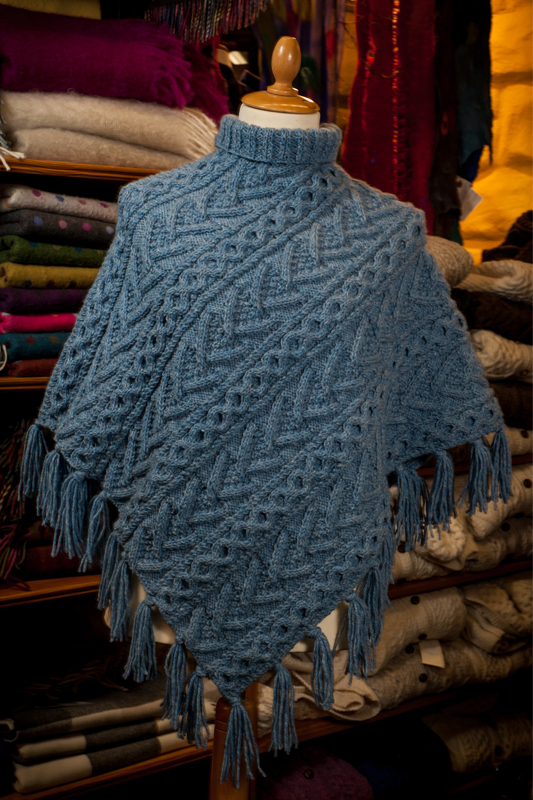 Poncho featuring a turtle neck with honeycomb, moss and open diamond stitch. 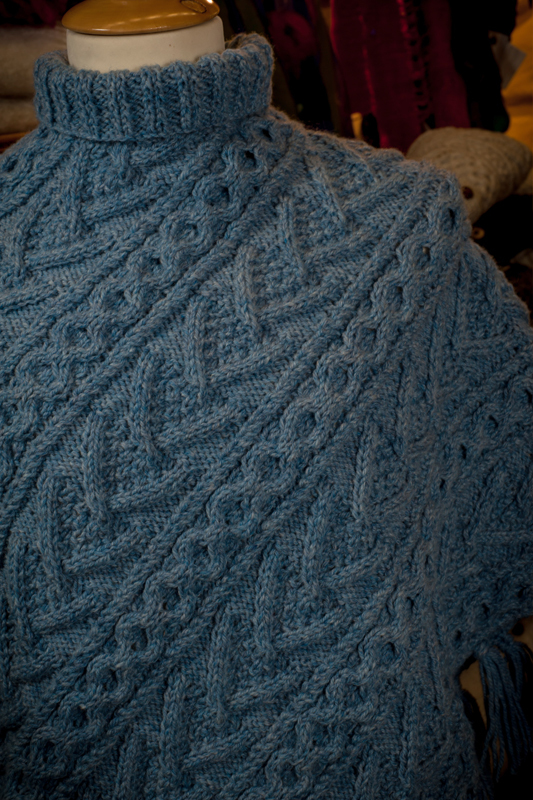 Finished with fringing. 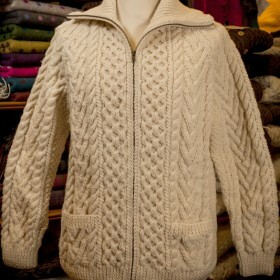 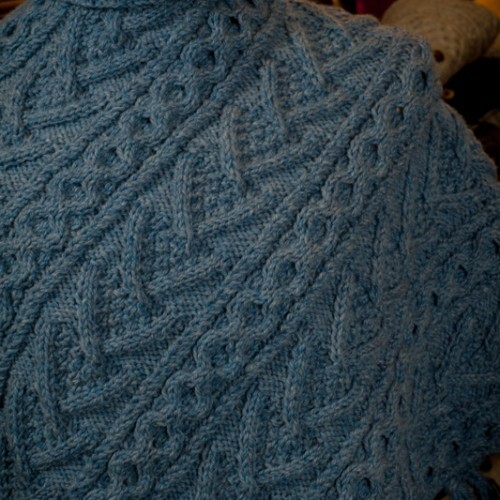 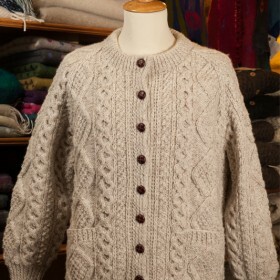 For more information, please get in touch via our aran sweater contact form.